Adorable! This is a great one. 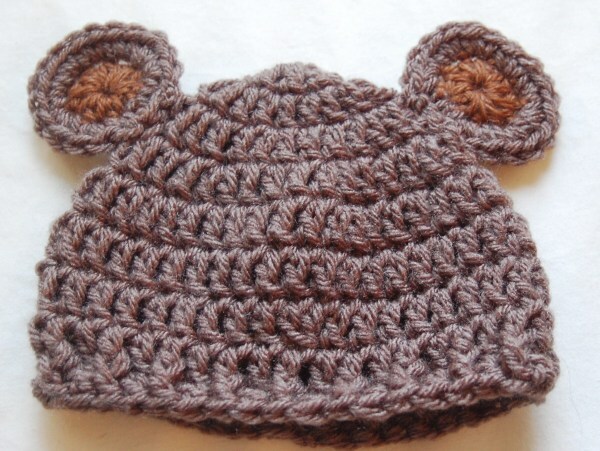 Do you have an adult size for this pattern? I love this!! I just pinned this on to Pinterest my crochet followers will love this! Adorable crochet pattern. Wish my son was younger but I can make some for friend’s with younger kids. 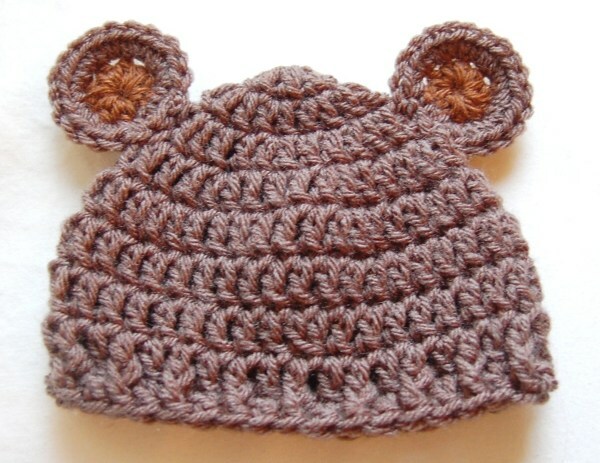 plan on making this hat along with a cocoon/body sack (whatever they call them these days) for local hospital in need of stuff, which I found out when my grandson was born prematurely. I think that’s a lovely idea, Kathy! Thanks for sharing. Is this a really small hat or did I do something wrong, made sure i had the right size hook but mine is definitely preemie size, oops! Is the hat supposed to measure 11″ around and 3″ high? The hat should measure 6.25 inches across and 11 inches high when it’s finished. Sounds like your gauge is off with the smaller height you’re getting, so you might want to try sizing up a hook or using thicker yarn. Hi Shavahn, Which part of the pattern are you having trouble with? I don’t have a video tutorial to make this hat, but I’ll let you know if I make one in the future! After reading it a few times and googling what I front post stitch was I got the hang of it. Now I’m going to redo it with the thicker yarn even through I used exactly the same as you did, lol. I agree with Amber. My hat came out really small. I didn’t attach the ears yet so I’m going to try to make another hat, but this time I’m going to use a 6.5 mm hook instead of a 5mm hook. If the hat is took big I figure he’ll grow into it. Great pattern!!! So so cute & most important–no buttons–so many people are adding buttons for decorative add-ons. Buttons are SO dangerous to use around babies. CONGRATS!! to you for a beautiful safe pattern!!! Hi! I love your pattern. I was wondering if we are allowed to sell the hats we make from your pattern? Of course I would be giving you the credit for the pattern and only selling the hats not your pattern itself. Thanks for your reply in advance. Hi, I am having trouble with Round 3. Shouldn’t there be 28 stitches instead of 27 stitches? If so then that would throw the rest of the rounds off. I have started this hat 3 times and I can’t seem to get it to come out right in counting the stitches when I come to Round 3. The pattern is so cute. 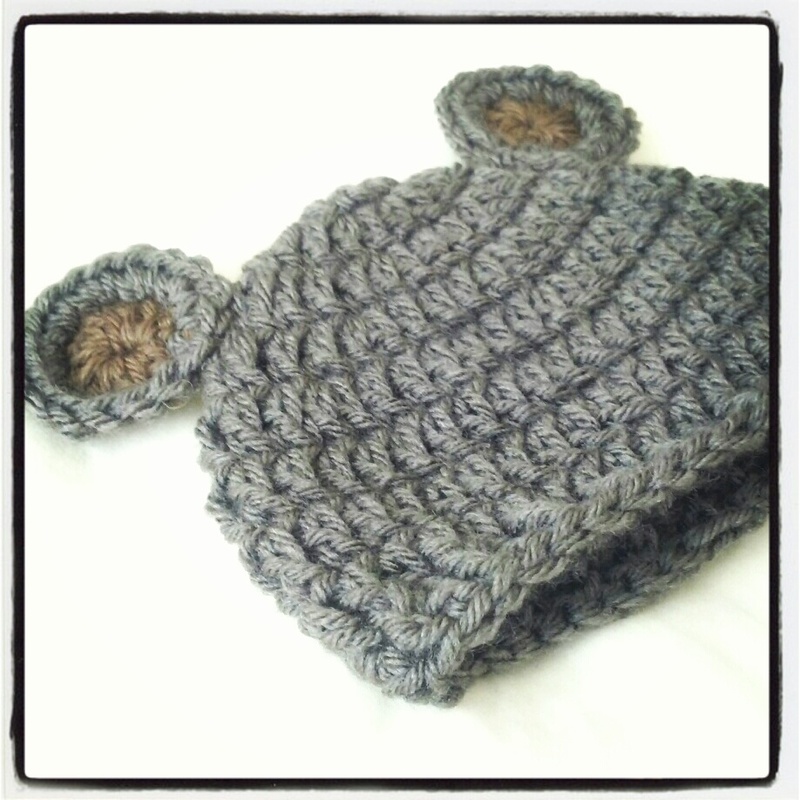 Hello, I have just finishing making this adorable little hat for my soon-to-be grandson. It was my first crocheting in over 25 years, thank you for helping me rediscover this craft. Hi! Love this pattern- adorable. 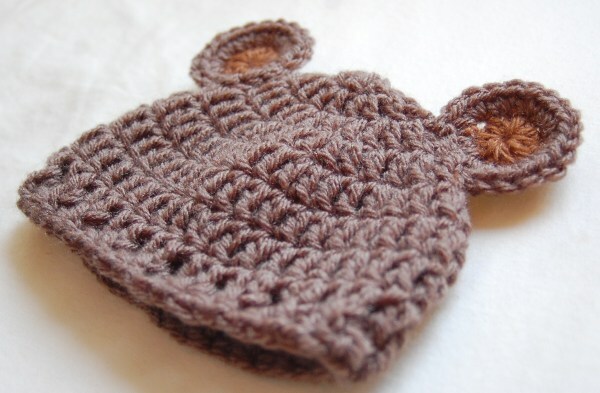 I’m giving birth for my daughter in last week of October (wish me luck) and I want to make this hat for her. Thank you again for this pattern!! Thanks for all your free patterns! All the ones I’ve done have turned out great! I really love free! Thanks!!! To all of you that want a larger pattern size. All you have to do is continue increasing each round in increase sequence [1 st more between increases for each rnd] to enlarge hat circumference. Find another hat pattern the size you want also in half doubles, to see how many increase rows are made. Look up hat basics for increasing. And couldn’t this hat be done in spirals, no joining rounds, to eliminate the obvious join? (Keeping track of rnds with a marker.) Then to end on last rnd, do a sc & a sl st to bring height of hdc down to previous level. Oh, I see that a stitch gauge was not listed for this pattern. All ptns I see or buy give a st gauge you should match to obtain the correct size at completion. Well, see what the yarn label suggests for gauge & what size hook to use, then do a sample swatch to see if you’re sts are too tight or too loose. This is the MOST important factor in obtaining the correct result and the right size! You can make any size hat from preemie to adult by just adding more increase rounds. This ptn “is” listed as a “preemie” so be aware it’s going to be smaller than a “baby” hat. But doing a couple more increase rnds will make it larger. If I use US 8/5mm crochet hook with sports weight yarn, will the size be affected? How do I adjust to get the correct size ? What size crochet hook do I use with sports weight yarn to get the correct size. are you supposed to ch 2 on every round? I just used your pattern! It is so beautiful! Very easy to follow and thorough! Thanks for sharing! I make baby things for a local crisis pregnancy clinic and I see a whole bunch of these in my future!! how long does it take to crochet a complete hat?